By Xah Lee. Date: 2017-04-20 . 24 programable Cherry MX black mechanical keys. Comes with software for Microsoft Windows to let you program the keys. The shortcuts are stored in the device's memory. That means, you can plug the keypad in any computer, and your shortcuts will work. Here's review of the 48 keys version. The video review is long, just skip around. 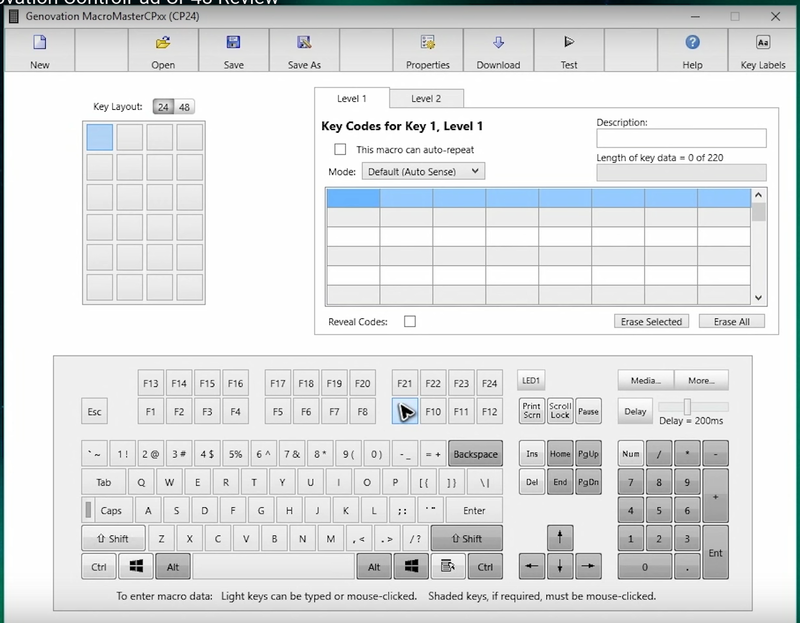 The software to program the keys. Powerful, but not very easy to use. This guys works with video. He shows you what he do with all those keys.